Vashi diamonds commissioned HWVisual to design the opening windows for their first London store, on Piccadilly. 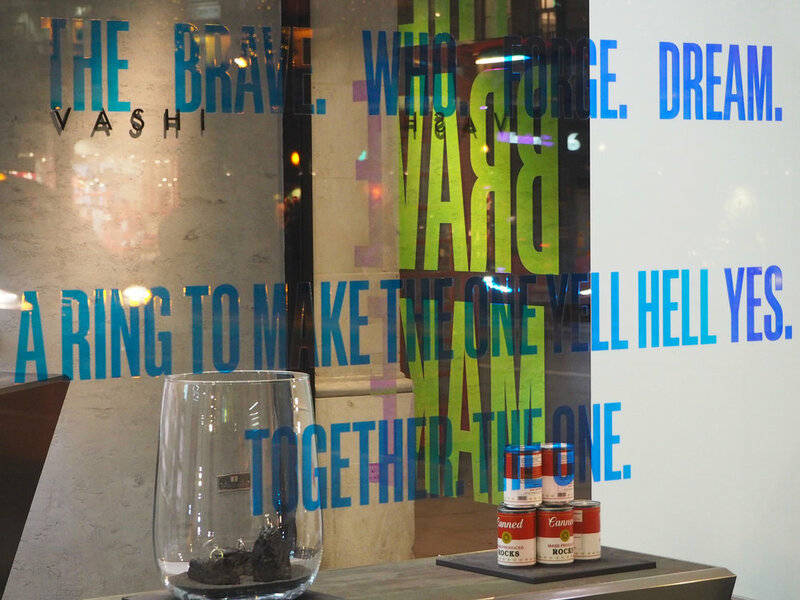 The windows feature bold phrases and key words from the Vashi launch campaign, which focuses on the core of the brand identity; the design and creation of engagement rings by the customer. The graphic treatment of the windows enhances the bold and sculptural store design, whilst adding warmth and colour to the interior concept. Dichromic vinyl is used for the text, with the colour changing from pink to blue, yellow, purple or green depending on the angle of the viewer. 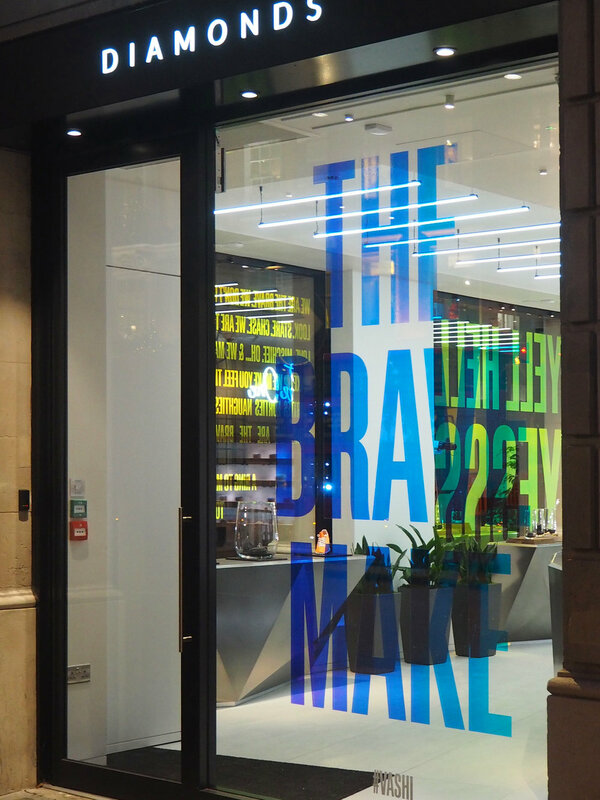 The vinyl is also semi transparent giving it a relatively subtle feel and allowing light to flood the store interior.